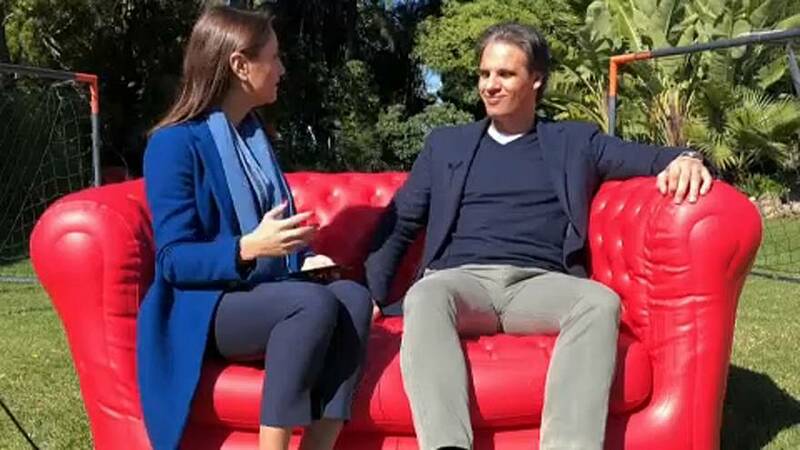 Portugal's former striker Nuno Gomes has opened his home to Euronews' Anelise Borges on her road trip around Europe ahead of May's elections. The 42-year-old, when asked if he felt more Portuguese or European, said: "I feel more Portuguese than European, but lately I also feel a lot like I belong to Europe." He added: "I have travelled a lot and this free movement within Europe also makes you feel at home in other countries. So I feel Portuguese, but very European too." Gomes, who had a key impact for Portugal in the Euro 2000 football championships, said he doesn't think people are taking Europe for granted. He believes the continent is "more and more united", but thinks "we should work to promote this unification even more". "I think that all countries would benefit if they all fight to improve quality of life, the rights of people, freedom not only of expression but also the freedom of movement of people and goods across Europe," he said. The former Benfica and Blackburn Rovers player referenced football as something universal that people know all over the world. `"Perhaps what the European Union is lacking is that kind of universality or that kind of contact with people," he said. Gomes added that the difference between politics and football is that the latter is a "passion industry" that unites people. "If politicians would talk more about their work, their day-to-day life, as happens in football, people would see politicians and politics in a different way," he said. "Politics needs to, perhaps, work on its marketing." Gomes' first hope for the continent is that everyone exercises their right to vote — the European Parliament elections are being held in May and citizens across the bloc will head to the polls. "It is important for all people to vote because only by going to vote can we also have our right to criticise, to protest because all votes count," he said. He thinks the European Union will continue to grow and become stronger. "It does not seem to me or I hope that there are no other countries that will want to leave, that there are no divisions, that countries can solve their problems," Gomes added. "That they (countries in Europe) can all move in the same direction because we all stand to gain from it."